Bloomberg's David Glovin has written of the terrible harm caused to corporate executives indicted on federal criminal charges and the scars left on those whose cases are later dropped. The numbers are surprising. From 2006 to 2008, Glovin says, U.S. prosecutors dismissed charges against 42 such defendants -- more than twice the 20 dismissals in the prior three years, according to the Federal Justice Statistics Resource Center. Pinkerton had just left his 8- year-old twins at his in-laws’ home in Morristown, New Jersey, when he learned he was no longer a suspected felon. Pinkerton’s lawyer called to say that the U.S. prosecutors who had charged the former American International Group Inc. managing director with bribery -- which could have led to a decade in prison -- had dropped the case. . . . The relief was so great that day in July 2008 that the 6- foot-2-inch-tall (1.88-meter-tall) executive, who had fought the stress of the 31-month-long ordeal with intense gym workouts, broke down and cried. We've said before that the power of prosecutors to wield the sword of Caesar is a heavy burden. Used correctly, it enforces the rule of law for the good of the many. Use wrongly, it destroys innocent people -- not just the accused, but their families, employees and others, and the damage is permanent. Pinkerton said: “Somebody made an allegation that I did something improper, and everything got thrown under the bus. One day, 100 people around the world want to talk to you. The next, your BlackBerry goes silent and you have three friends." He was lucky to still have three friends. David Glovin's article can be found here. The whirlwind. From our porch last evening, we watched and listened as the storm blew through our corner of central Virginia. The wind whistled and trees bent and creaked, but only a bit and for just a few minutes. Then it rained lightly for a half hour. We went to bed thinking nothing more about the little storm. But this morning, when we drove the fifteen miles to Charlottesville proper, it was another story. Trees down everywhere, power lines dangling, and roads impassible. We climbed over the limbs to reach our downtown workspace but the power was out. So we went home. We like to think we're in control of things. But that's never really true on the grander scale of events. U.S. v. Kozeny, Southern District of New York (Manhattan). The defendant is Frederic Bourke, 62, owner of the luxury handbag brand Dooney & Bourke. He was indicted in May 2005 with Victor Kozeny and David Pinkerton over an alleged plot to bribe officials from Azerbaijan. Kozeny is in the Bahamas fighting extradition and Pinkerton has been dismissed from the case, leaving Bourke to fight the FCPA charges on his own. He and the federal prosecutors are gearing up for trial. Last month Judge Shira A. Scheindlin issued an opinion and order refusing Bourke's request for a jury instruction on the FCPA's local law affirmative defense. U.S. v. Green, Central District of California (Los Angeles). The defendants are Hollywood movie producers Gerald Green, 75, and his wife Patricia Green, 52. They were arrested in December 2007. They're accused of paying more than $1.8 million in bribes to a former governor of the Tourism Authority of Thailand in return for contracts worth more than $14 million. A superseding indictment last month added allegations that Mrs. Green filed two false tax returns in 2005 and 2006 that included deductions for "commissions" which she knew were "bribes to a foreign official for obtaining and retaining business." Their trial was first scheduled to begin in early 2008 and has been postponed a couple of times. U.S. v. Jefferson, Eastern District of Virginia (Alexandria). The defendant is Rep. William Jefferson, 61, (D-La. ), a Congressman since 1991 from a district that includes New Orleans. He was indicted in June 2007 by a federal grand jury for violating the anti-bribery provisions of the Foreign Corrupt Practices Act. He was also charged with soliciting and accepting bribes, wire fraud, money laundering and obstruction of justice. Prosecutors allege that in August 2005, Rep. Jefferson hid $90,000 in the freezer at his Washington home. It was part of $100,000 provided by the government's cooperating witness and intended to be used to bribe a Nigerian official. Rep. Jefferson had been scheduled to go on trial next month, but that's not likely to happen. He has asked the U.S. 4th Circuit Court of Appeals in Richmond, Va. to dismiss all charges except for one count of violating the FCPA and another of obstruction of justice. Last Tuesday, Rep. Jefferson won a primary runoff election in his district and is favored to win re-election on Dec. 6, according to CG Politics. We'd like to report news from the trials if and when they begin. To do that, though, we'll need help. If anyone is willing and able to send us dispatches from time to time from the courtrooms (including news about the prelims now taking place), please drop us a note here. We can post reports with or without attribution, and we'll also take responsibility for editing. So news can be sent in raw form, of any length and frequency. We could close now with something from a recruiting poster, like: Don't just read about FCPA history, be a part of it. Drop us a line today. And you know, that actually sounds pretty good. So consider it said. We never forget how many of our readers are real experts in the Foreign Corrupt Practices Act. And how generous they are with their help. It happened again late last week when they asked us to set the record straight in U.S. v. Kozeny. Although we'd posted recently that the prosecution in the Southern District of New York was over as to defendant Frederic Bourke, he and the government are in fact gearing up for a criminal trial. Here's what happened. In September this year, we reported that Bourke -- indicted in May 2005 with Victor Kozeny and David Pinkerton over an alleged plot to bribe officials from Azerbaijan -- wouldn't face FCPA charges after all. In June 2007, the federal district court in Manhattan dismissed FCPA and related counts against the defendants. The court said the FCPA's five-year statute of limitations had already expired. The government appealed but the Second Circuit affirmed. But here's what we missed. After Judge Shira A. Scheindlin’s initial decision dismissing charges based on the expiration of the statute of limitations, the government moved for reconsideration, which was granted. Judge Scheindlin then reinstated some of the charges before the issue went up on appeal to the Second Circuit. Thus, the case against Bourke is still pending for trial and has not been dismissed in its entirety. So thanks to our friends for helping us out -- yet again. The life of a fugitive is tough, Kozeny says during three days of interviews at his $29 million estate in July. "I feel a little like Napoleon sent to St. Helena," the 45-year-old Czech native says of his life in the Bahamas, which he hasn't left since 1999. There's lots of great stuff in the story. The blogger can get away with less and afford fewer pretensions of authority. He is -- more than any writer of the past -- a node among other nodes, connected but unfinished without the links and the comments and the track-backs that make the blogosphere, at its best, a conversation, rather than a production. To blog is therefore to let go of your writing in a way, to hold it at arm’s length, open it to scrutiny, allow it to float in the ether for a while, and to let others, as Montaigne did, pivot you toward relative truth. A blogger will notice this almost immediately upon starting. Some e-mailers, unsurprisingly, know more about a subject than the blogger does. They will send links, stories, and facts, challenging the blogger’s view of the world, sometimes outright refuting it, but more frequently adding context and nuance and complexity to an idea. The role of a blogger is not to defend against this but to embrace it. He is similar in this way to the host of a dinner party. He can provoke discussion or take a position, even passionately, but he also must create an atmosphere in which others want to participate. Following yesterday's post, several readers suggested that we mention any other FCPA-related cases, appeals, sentencings and enforcement actions during the past year involving individuals. It's a good idea, and our thanks go out to Marc and our other correspondents. Our post Kozeny's Co-Defendant Wins Appeal (September 1, 2008) discusses Victor Kozeny, Frederic Bourke and David Pinkerton. They were indicted in May 2005 under the FCPA over an alleged plan to bribe officials from Azerbaijan. In June 2007 the trial court dismissed the charges, saying the government failed to indict within the FCPA's five-year statute of limitations. In October 2007, the Bahamas Supreme Court refused to order Kozeny's return to the U.S. to face trial. Pinkerton was dropped from the U.S. case in July 2008 after the government withdrew all charges against him. The Second Circuit then affirmed Bourke's dismissal because of the statute of limitations. On May 15, 2008, Jason Edward Steph consented to entry of a permanent injunction with the SEC with a possible civil penalty to be determined. Gerald Jansen, another former Willbros executive in Nigeria, received a permanent injunction and a civil fine of $30,000, while Lloyd Biggers, a former Willbros employee in Nigeria, received a permanent injunction. Our post Willbros Resolves FCPA Offenses (May 15, 2008) said, "Also named in the SEC's complaint were Gerald Jansen, a former administrative supervisor in Nigeria; Lloyd Biggers, a former employee in Nigeria; and Carlos Galvez, a former accounting employee in Bolivia. The allegations included a scheme to pay $300,000 to officials of an Ecuadorean state-owned oil and gas company and to avoid paying taxes in Bolivia." On January 10, 2008, the United States Court of Appeals for the Fifth Circuit denied a petition for rehearing en banc from David Kay and Douglas Murphy. The former executives of American Rice, Inc., were indicted under the FCPA in 2002 for bribing Haitian officials. The U.S. District Court in Houston dismissed the indictments, finding that the FCPA did not apply to their conduct -- i.e., paying bribes to reduce their company's taxes. In 2004, the Fifth Circuit held that the bribes alleged in the indictment could fall within the scope of the FCPA and remanded. At trial, Kay and Murphy were convicted of violating the FCPA. Kay was sentenced to 37 months in prison and Murphy to 63 months. They appealed, and in October 2007 the Fifth Circuit affirmed their convictions. They then filed a petition for rehearing en banc, which the Fifth Circuit denied. See our post U.S. v. Kay: Once More To The Courts (February 28, 2008). On April 9, 2008, Kay and Murphy filed a petition for cert with the U.S. Supreme Court (available at scotusblog.com here). They're arguing among other things that the text, structure, and legislative history of the FCPA are all ambiguous with respect to the criminalization of the type of payments involved in the case. Therefore, they should have the benefit of the rule of lenity -- i.e., that any ambiguity in the FCPA should be construed against the government and in favor of the accused. On May 12, 2008, two amicus briefs were filed in the case on behalf of the U.S. Chamber of Commerce and the National Association of Criminal Defense Lawyers. They're available from scotusblog.com here. On October 1, 2007, Oscar Wyatt Jr., 83, pleaded guilty to one count of conspiracy to commit wire fraud in connection with the U.N. oil-for-food program. The U.S. Government accused him of paying millions in illegal surcharges directly to Iraqi officials in return for oil allocations from 2000 to 2002. He faces 18 to 24 months in prison under a plea agreement and will forfeit $11 million. He founded and ran Coastal Corporation, which he sold to El Paso Corporation in 2001. Though he wasn't charged under the FCPA, in February 2007, El Paso settled FCPA allegations related to illegal surcharges it paid to Iraqi officials under the oil-for-food program. See our post Oscar Wyatt, Founder Of Coastal Corporation, Pleads Guilty To Iraq Bribes (October 2, 2007). On September 28, 2007, Steven Head, the former president of Titan Corporation’s Africa business, was sentenced to six months’ in prison, three years’ supervised release, and a fine of $5,000. He pleaded guilty in June 2006 to one count of falsifying a financial document. He was originally charged with paying $3.5 million in bribes to foreign officials in Benin. Titan pleaded guilty in March 2005 to violating the FCPA and aiding and abetting the filing of a false tax return. Frederic Bourke won't face Foreign Corrupt Practices Act charges after all. He was indicted in May 2005 with Victor Kozeny and David Pinkerton over an alleged plan to bribe officials from Azerbaijan from 1997 to 1999 in connection with the privatization of the state oil company. But the U.S. Court of Appeals for the Second Circuit affirmed the June 2007 dismissal of FCPA charges against Bourke, saying the government failed to indict him within the FCPA's five-year statute of limitations. Kozeny wasn't a party to the appeal because he's outside the United States and fighting extradition. In October 2007, the Bahamas Supreme Court refused to order his return to the U.S. to face trial. He's from the Czech Republic and reportedly has Irish citizenship, but he's been living in the Bahamas for more than a decade. The Bahamas court said the FCPA charges against Kozeny were not provable or prosecutable under local law, and there was an abuse of the court process. Apparently the U.S. government did not properly disclose the U.S. trial court's dismissal of the FCPA charges on statute of limitations grounds, a failing the Bahamas judge cited as a reason for the ruling. Co-defendant Pinkerton was dropped from the case in July this year after the government withdrew all charges against him. See United States v. Kozeny, No. 1:05-cr-00518-SAS (S.D.N.Y. July 2, 2008) (order of nolle prosequi). The former head of AIG Global Investment Corp. invested about $15 million of AIG's money with Kozeny. After the government ended the case against Pinkerton, his lawyer said, "We have always known that David Pinkerton is completely innocent of any wrongdoing and we are thrilled by his vindication. Mr. Pinkerton is a self-made man who through his hard work, integrity and talent rose to the highest levels of his profession. Now that these charges have been entirely dismissed, Mr. Pinkerton looks forward to continuing his career." Prosecutors obtained a related conviction in the case in February 2004. Clayton Lewis, a former employee of Omega Advisors, Inc., pleaded guilty to conspiring to violate the FCPA. Then in July 2007, Omega itself settled with the government, entering into a non-prosecution agreement with the DOJ and agreeing to a civil forfeiture of $500,000. Omega invested more than $100 million with Kozeny in 1998 for the Azeri privatization program. The program fizzled and Omega lost its entire investment, as did Bourke, AIG and others. Reports said Kozeny kept $182 million from the deal. 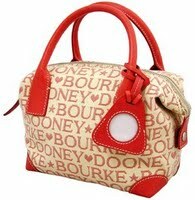 Bourke, 62 -- owner of the luxury handbag brand Dooney & Bourke -- said after his indictment in 2005 that he invested $8 million with Kozeny only after lawyers had advised him the deal was legal. Soon after, he said, he suspected illegal behavior. His lawyers said he traveled to Azerbaijan to warn then President Heydar Aliyev about the scheme and he testified before a New York grand jury "as a victim of Kozeny's fraud." Last month, a Washington-based non-profit watchdog group that defends whistleblowers alleged that James Wolfensohn, the former head of the World Bank, helped Kozeny by quashing staff concerns and writing letters on Kozeny's behalf. Wolfensohn has said the report by the Government Accountability Project (GAP) is wrong. The report shows that James Wolfensohn, then president of the World Bank, personally assisted a rogue financier in his efforts to gain control of the State Oil Company of the Republic of Azerbaijan (SOCAR). While these efforts were ultimately unsuccessful, documents show that Wolfensohn silenced Bank staff members who spoke out about corrupt government officials working with Viktor Kožený, a notorious financial operator who had allegedly defrauded investors in the Czech Republic of nearly $1 billion only three years earlier. A Bloomberg story said Bourke's lawyers provided documents to GAP and that Bourke funded the Kozeny-World Bank report. GAP says Kozeny's scheme in Azerbaijan came to light "in 1999, when U.S. investor and whistleblower Frederic Bourke came forward and exposed the fact that at least one major investor had been defrauded . . . ." Kozeny has denied taking money illegally from investors and criticized GAP for its work on Bourke's behalf. A report yesterday from Dow Jones said the United States has dropped its sputtering prosecution of David B. Pinkerton on charges of conspiring to violate the Foreign Corrupt Practices Act. The government had alleged that in June 1998, as the head of AIG Global Investment Corp., Pinkerton invested about $15 million of AIG's money in a consortium headed by Victor Kozeny -- with the understanding that Kozeny was bribing Azeri officials to ensure the privatization of the State Oil Company of the Republic of Azerbaijan (SOCAR). Prosecutors last year suffered a double setback in the case. In June 2007, a federal district court in Manhattan dismissed all FCPA and related counts against Kozeny, Pinkerton and their co-defendant, Frederic Bourke, Jr. The court said the FCPA's five-year statute of limitations had already expired. The government appealed, but then in October the Bahamas Supreme Court ruled against Kozeny's extradition, refusing to order his return to the U.S. to face trial. He's from the Czech Republic and reportedly has Irish citizenship, but he's been living in the Bahamas for more than a decade. In the nolle prosequi request - a copy of which was reviewed by Dow Jones Newswires - Assistant U.S. Attorney Jonathan Abernethy wrote, "Based upon a review of the evidence and information pertaining to this defendant acquired since the filing of the indictment, the government concluded that further prosecution of David Pinkerton in this case would not be in the interest of justice." No word yet on whether the government will also drop its case against Bourke. Prosecutors obtained a related conviction in February 2004. Clayton Lewis, a former employee of Omega Advisors, Inc., pleaded guilty to conspiring to violate the FCPA. Then in July 2007, Omega itself settled with the government, entering into a non-prosecution agreement with the DOJ and agreeing to a civil forfeiture of $500,000. As the Justice Department noted then, Omega invested more than $100 million with Kozeny in 1998 for the Azeri privatization program. But the program fizzled and Omega lost its entire investment. A safe and happy Fourth of July to our American readers. It's easy to be cynical, and somehow "patriotic" has become a slur. That's too bad. Expressing gratitude for the blessings of country and countrymen is always fitting. To be sure, our Republic reflects human nature -- all of it. The flaws and pettiness and insecurities are there, but so are our finest traits. And while Americans from left, right and center are often bothered by the messiness of our great experiment with democracy, we can all be proud that ours is still a country of freedom, opportunity and hope. See you next week. It Has Already Agreed to Toll the Statute of Limitations; Will Self-Reporting Lead to More Waivers of Legal Protections? Aon Corporation -- the world's biggest insurance broker -- disclosed on November 8, 2007 an internal investigation of possible violations of the U.S. Foreign Corrupt Practices Act and non-U.S. anticorruption laws. AON said in its latest Form 10-Q that it has self-reported the investigation to the U.S. Department of Justice, the Securities and Exchange Commission and others, and that it has already agreed with prosecutors to toll any applicable statute of limitations. A standard feature of deferred prosecution agreements is a waiver of the statute of limitations for claims not already time barred. But an agreement to toll any applicable statute of limitations during an internal FCPA investigation is unusual. Did the DOJ ask for the waiver to protect itself against another legal setback like the one it suffered in the high-profile FCPA prosecutions of Victor Kozeny and his co-defendants, Frederic Bourke, Jr. and David Pinkerton? The three were on trial for an alleged scheme to bribe senior government officials in Azerbaijan to ensure the privatization of the state oil company. But in June 2007, the U.S. District Court for the Southern District of New York dismissed all FCPA and related counts against them because the five-year statute of limitations had run. The DOJ has appealed, saying the limitations period should have tolled automatically while prosecutors tried to collect evidence from foreign countries. Meanwhile, a court in the Bahamas ruled that Kozeny cannot be extradited to the U.S. on the dismissed FCPA charges. We're speculating, but the DOJ must be anxious to avoid more statute of limitations problems in FCPA prosecutions. So will the government now routinely demand waivers of the statute of limitations defense at preliminary stages of self-reporting by corporations? Will it then use the responses to measure the corporations' level of "cooperation" under the U.S. Federal Sentencing Guidelines? And will there be an outcry against the practice, as there was against the DOJ's pressure on corporations to waive the attorney-client privilege or be labeled uncooperative for purposes of plea bargaining and sentencing? "Following inquiries from regulators, the Company commenced an internal review of its compliance with certain U.S. and non-U.S. anti-bribery laws, including the U.S. Foreign Corrupt Practices Act ('FCPA'). An outside law firm with significant experience in the area is overseeing the review. Aon has advised the U.K. Financial Services Authority, the U.S. Securities and Exchange Commission, the U.S. Department of Justice, and certain other non-U.S. regulators of the review and has agreed with the U.S. regulators to toll any applicable statute of limitations pending completion of the review. Based on current information, the Company is unable at this time to predict when the review will be completed or what regulatory or other outcomes may result." Aon Corporation trades on the New York Stock Exchange under the symbol AOC. View Aon's Form 10-Q for the period ending September 30, 2007 Here. The Bahamas News Online Edition (The Bahama Journal) reports today that the Supreme Court there has ruled against the extradition of Victor Kozeny (left). The ruling means Kozeny is no longer under arrest in the Bahamas, which had detained him at the request of the U.S. government. He was indicted in the United States in October 2005 for violating and conspiring to violate the U.S. Foreign Corrupt Practices Act in connection with a scheme to bribe senior government officials in Azerbaijan. On June 21, 2007, the U.S. District Court for the Southern District of New York dismissed all FCPA and related counts against Kozeny and his co-defendants, Frederic Bourke, Jr. and David Pinkerton, based on the running of the five-year statute of limitations. The Justice Department's appeal against the dismissal is still pending. If the charges are reinstated, only Bourke and Pinkerton will now go to trial. According to the report, the Bahamas court said the FCPA charges against Kozeny were not provable or prosecutable under local law, and there was an abuse of the court process. Apparently the U.S. government did not properly disclose the U.S. trial court's dismissal of the FCPA charges on statute of limitations grounds, a failing the Bahamas judge cited as a reason for the ruling. Victor Kozeny is from the Czech Republic. He reportedly has Irish citizenship and has lived in the Bahamas for more than a decade. American prosecutors had sought evidence against him and his co-defendants from the Netherlands and Switzerland. Delays in obtaining the evidence led to the running of the statute of limitations in the U.S. prosecution. View the report from the Bahamas News Online Edition Here. View a prior post about Victor Kozeny Here. The press is reporting that the Department of Justice on August 21, 2007 appealed the dismissal of FCPA charges against three men in connection with a bribery scheme in Azerbaijan. On June 21, 2007, the U.S. District Court for the Southern District of New York dismissed all FCPA and related counts of an indictment against Viktor Kozeny, Frederic Bourke, Jr. and David Pinkerton. The District Court said the statute of limitations had run. The Justice Department argued that the five-year limitations period should be tolled based on the government's official requests for foreign evidence from the Netherlands and Switzerland. The October 2005 indictment accused the three in a scheme to bribe senior government officials in Azerbaijan in order to ensure the privatization of the State Oil Company of the Republic of Azerbaijan ("SOCAR"). On July 6, 2007, hedge fund Omega Advisors, Inc. acknowledged that Clayton Lewis, one of its former employees, had learned, prior to Omega’s investment in the privatization of SOCAR, that Kozeny had entered into arrangements with some officials of the government of Azerbaijan that gave those officials a financial interest in the privatization. Lewis pleaded guilty on February 10, 2004 to conspiracy to violate the FCPA . Omega entered into a settlement agreement with the DOJ and will not be prosecuted for any crimes related to its participation. Omega civilly forfeited $500,000 and agreed to continue to cooperate with the Government in connection with its investigation and prosecution of the case. As a postscript, the DOJ noted that Omega invested more than $100 million in the Azeri privatization program in the spring and summer of 1998 and lost all of its investment, and to date privatization has not occurred. View A Press Report of the Government's Appeal Here. View the DOJ's Announcement of the Omega Settlement Here. View the DOJ's Announcement of the Indictment Against Kozeny et al Here.